Add ChristChurchMequon.LIFE to your home screen and use it just like an app! Built-mobile-first, ChristChurchMequon.life functions just like an app and requires no download, so even first-time guests can dial in! You can keep Christ Church at your fingertips, just like you did our retired mobile app, by adding a ChristChurchMequon.LIFE icon to your mobile home screen in just three easy steps. Simply follow the instructions below. Click here: ChristChurchMequon.LIFE, OR open the browser (typically Safari) on your iPhone or iPad and type ChristChurchMequon.LIFE into the address bar. Find the button labeled "Add to Home Screen", and voila! You've just added ChristChurchMequon.LIFE to your home screen. Now it'll function even more like an app. 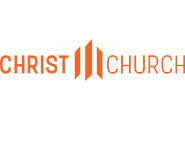 Click here: ChristChurchMequon.LIFE, OR open the browser (typically Google Chrome) on your phone or tablet and type ChristChurchMequon.LIFE into the address bar. Once there, press the "Menu" button, which may appear as three vertical dots in the upper-right corner, then select "Add to Home Screen". Voila! You've just added ChristChurchMequon.LIFE website to your home screen. Now it'll function even more like an app. 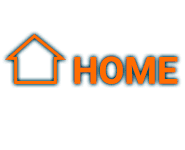 Click the button below to contact us and we'd be happy to help you.